If your secret passion is entertaining as a bartender, if you love making cocktails or just throwing parties you should have a home bar. And that’s not all! The alcohol bottles and glasses are so cute, they will also serve also as dreamy decor objects! A bar on wheels? Yes, please! This fabulous golden tray cart that works also as a bar is ideal for a home party with a few of your friends but also for a romantic date night. Moreover, if your room is filled with fancy and colorful furniture, this golden mini bar will go along really well. It’s practical and ideal if you love wine and strong liquors, like whisky. This bar ideea is great for the wine lovers. It has a lot of space to store your collection of bottles and also the natural material of the furniture goes perfectly with wine. 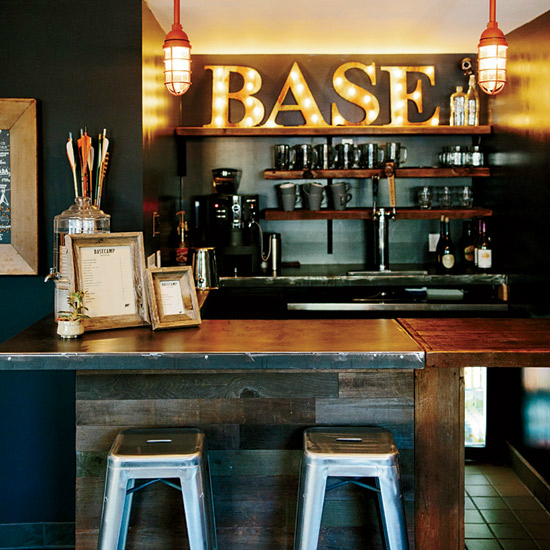 To decorate the space around the bar, choose vintage inspired objects that will go well with this classy design. This home bar will make your guests feel like in a real pub. As the centerpiece of the room choose lighted letters and for the chairs go with the ones made of a metallic material. All the objects that you pick to arrange this area need to have that retro vibe to perfectly match this eclectic home bar. 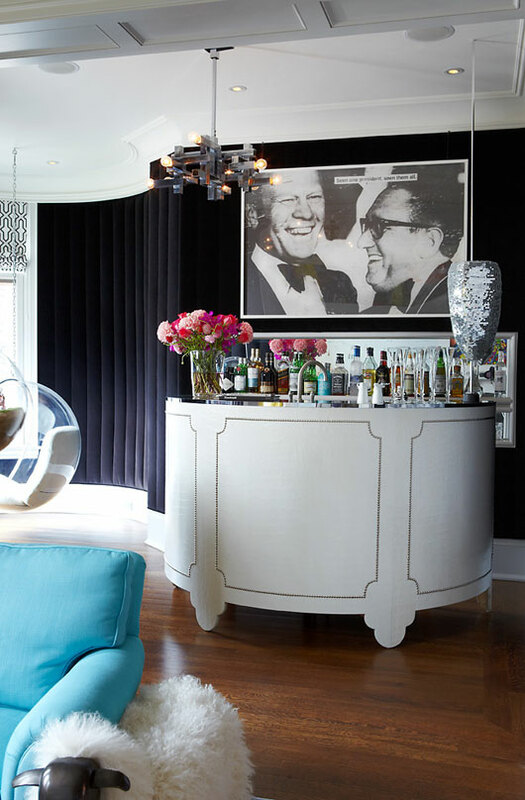 When I first saw this home bar I thought about the dressing room of the Hollywood actresses from the Golden Era. It’s so fancy and organized I would be afraid of touching anything, just kidding! I would love to discover any magic liquor in this bar and enjoy a glass while sitting in a fancy armchair.